The International Mining and Resources Conference will be held in Melbourne next week, addressing the need to improve productivity and optimise operations amid low commodity prices. 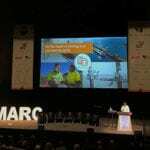 More than 2500 delegates from over 50 countries across all aspects of the mining value chain will attend IMARC, having the opportunity to hear from more than 160 international speakers covering topics including investment, technology and innovation, safety and sustainability, policy and framework. The event will also feature the latest mining innovations and technologies. In conjunction with the conference is Innovation Alley, a free three-day exhibition that will showcase leading tech companies’ new analytical instruments, advanced automation systems, cloud-based technologies, remote communication tools, and a host of other innovations designed to solve some of the mining industry’s greatest challenges. This will run from November 8 – 10 with companies including Minalyze, MaxMine (Resolution Systems), MineExcellence, Lantori, eHat Systems, Southern Innovation, Heat Trap Solar and Portable Analytical Solutions, taking part. Annelie Lundstrom, CEO of Swedish technology company Minalyze, said IMARC was a great opportunity to get in front of emerging and established miners looking to invest in innovative solutions. She said Minalyze developed analytical instruments for the mining and exploration industry, including a geolytical core scanner that allowed miners to analyse drill samples with a fast non -destructive method providing high-resolution chemistry, digital images, structure and density of samples. “The ambition is to unlock the potential of resources in various parts of the world, and especially in Australia. The data generated from the Minalyzer CS has the potential to uncover the next wave of discoveries in the mining industry,” she said. Victorian-based MineExcellence will be using the event as an opportunity to launch its new mining app and platform, designed to store, manage, retrieve and analyse drill and blast-related information. “IMARC is an opportunity not to be missed for a business like MineExcellence. The industry relies on opportunities, like IMARC, to bring industry experts together to progress the sector and discover the future potential of the market,” MineExcellence managing director Amit Bhandari said. BIMS is a cloud/web based software platform for blasting data storage and analysis. It can be linked to blast design, drill sheets, Explosive Charging Truck and can also provide cost analysis and reporting. 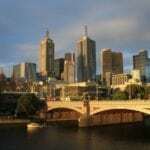 IMARC takes place from November 7 – 10 at the Melbourne Convention Centre.